here’s another group led by a drummer, the roy haynes quartet back in 1996 in paris. is it just me or are there a disproportionate number of drummers leading bands? or maybe i’m just noticing that more of late for no particular reason. 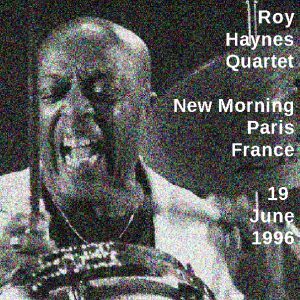 the past couple of days, i’ve mostly been listening to roy haynes (friday) and shorty rogers (thursday). this has been on dime a couple of times that i know of, including when i downloaded it back in 2011.